Leis, Jeffrey M., and McCormick, Mark I. 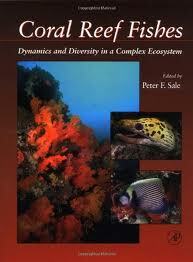 (2002) The biology, behavior, and ecology of the pelagic, larval stage of coral reef fishes. In: Sale, Peter F., (ed.) Coral Reef Fishes: dynamic and diversity in a complex ecosystem. Elsevier, San Diego, CA, USA, pp. 171-199. [Extract] Reef fish biologists are keenly aware that nearly all bony fishes on coral reefs have a pelagic larval phase that is potentially dispersive, and that this has major implications for reef fish populations not only at evolutionary (or biogeographic) scales, but also at ecological (or demographic, including management) scales. The literature is full of statements of how important this type of life history is for reef fishes, and for study and management of them. However, this realization has not been accompanied by a major shift in research effort to studying this pelagic phase, what one might refer to as “prerecruitment” studies. Neither has it led to a widespread view of the pelagic phase as much more than a “black box” that results in open populations and large fluctuations in recruitment. Even attempts to assess the population connectivity that presumably results from larval dispersal typically make simplifying assumptions, either explicitly or implicitly, that portray the larvae as little more than passive tracers of water movement that “go with the flow”, doing nothing much until they bump into a reef by chance and settle at once. Are larvae really as simple and as uninteresting as the assumptions made by this “black box” view of larval biology? We think not. The work reviewed here reveals larvae of coral reef fishes to have remarkably good swimming abilities, good sensory systems that develop early in ontogeny, and sophisticated behavior that is very flexible. Little of this would have been predicted from the much better known larval biology of temperate, non-reef species such as herring, cod, and plaice. We explore some of the reasons for this. The interaction of larval distributions with oceanography is the subject of Chapter 7 in the present volume, and we do not address that subject area. This chapter is not a revision of former work by Leis (1991a), nor does it cover ground already dealt with in reviews of coral reef fish larval biology by Boehlert (1996) and Cowen and Sponaugle (1997). Instead, here the focus is on recent research that examines reef fish larvae as animals interacting with their environment. The emphasis is on a perspective from the pelagic environment toward the demersal reef environment. The larvae have a similar perspective. Other studies take the opposite view, and indirectly examine the pelagic stage from the reef. These utilize information gleaned from otoliths of recruits or from abundance patterns either of settlement stage larvae captured by reef-edge light traps and reef-based nets, or of recruits on the reef (e.g., Dufour and Galzin, 1993; Milicich, 1994; Sponaugle and Cowen, 1994; Thorrold et al., 1994b,c; Robertson et al., 1999). Studies of this sort provide valuable insight, but they are largely beyond the scope of the present review. We review here new information on the pelagic stage, from spawning to settlement, including metamorphosis, but not postsettlement issues.